Employers need to ensure that they keep their employees safe by keeping equipment that meets national health standards; in environments with a greater number of threats, such as a kitchen, this is even more important. 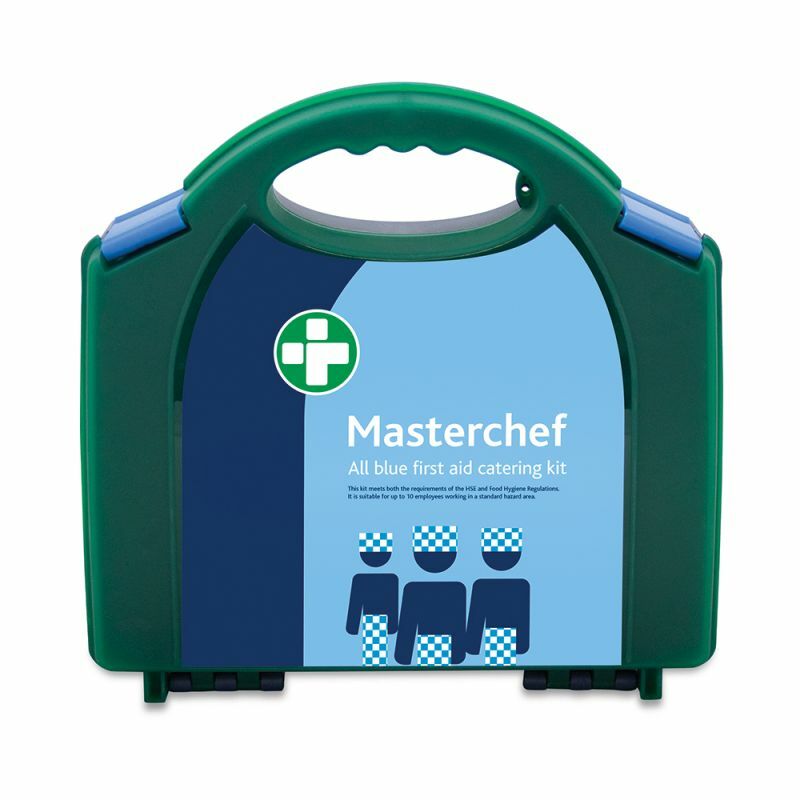 The Basic HSE Catering First Aid Kit is the ideal provision to have in catering businesses or food preparation areas. This stylish kit comes in a blue and green integral Aura box, affixed with blue safety clips and an airtight container to protect the first aid materials from dust or water. 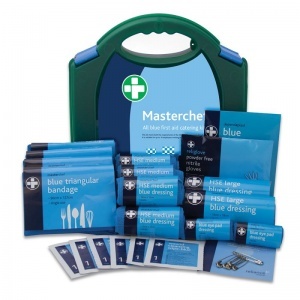 All items in this kit are modelled to the Approved Code of Practice 1997, with all blue materials as required for catering environments. 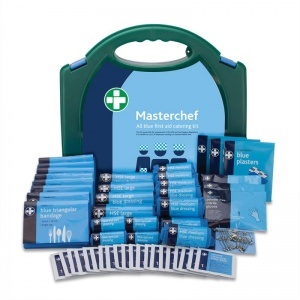 What Is Included in the HSE Kit? 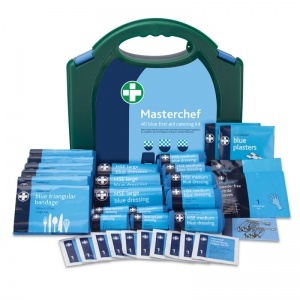 The Basic HSE Catering First Aid Kit is usually dispatched via First Class Royal Mail and delivery should be within 1 to 3 working days.